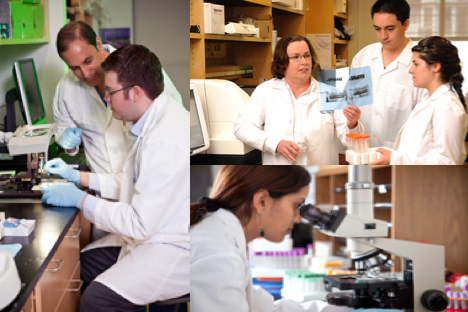 We are pleased to distribute the quarterly newsletter for the Rutgers Cancer Institute of New Jersey’s Basic Research and Clinical Research Programs. This newsletter will keep you informed of our researchers’ awards, publications, presentations, and other matters of programmatic importance. 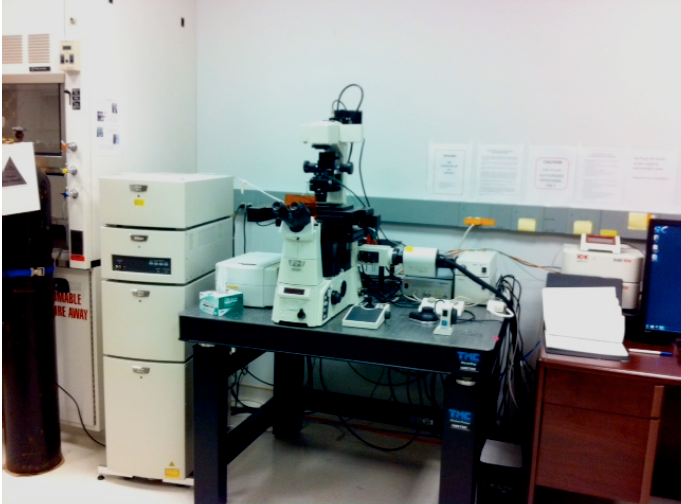 microscopes, this shared resource also offers training courses and scientific and technical expertise to assist researchers in their experimental design and optimal image acquisition. confocal microscopy, tomographic view of the cells or tissue can be taken like you are taking a CT image from a cell or tissue block. 3D reconstruction from the optically sliced series section can be made and viewed from different angle or animated. With multi detectors built in the system, multi-color labeled specimens can be easily viewed or imaged in real time using the confocal microscope system. 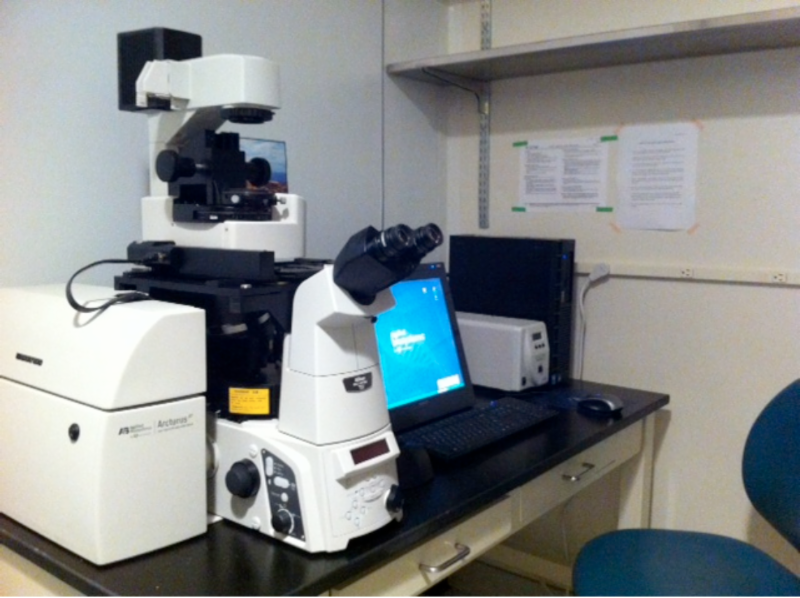 This microscope is coupled with MetaMorph NX software, and features: motorized XY and Z stage movement with environmental chamber, bright field/phase contrast, and green or red/green dual channel illumination. 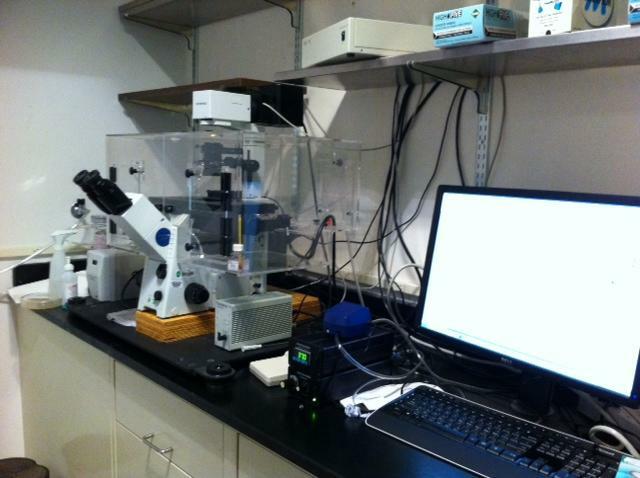 It is an ideal tool for live cell multi-points time lapse imaging. tissue structures and for capturing large numbers of cells. 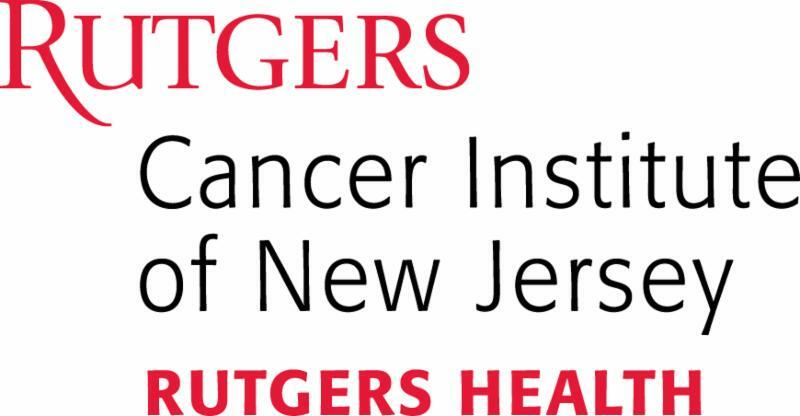 Please remember to acknowledge the valuable services provided by Rutgers Cancer Institute of New Jersey Shared Resources in your research papers, publications and grant applications, if applicable. Here is a suggested text: "Images were acquired and/or image processing and analysis for this manuscript was performed at the Advanced Microscopy Shared Resource of Rutgers Cancer Institute of New Jersey". Rutgers Cancer Institute of New Jersey is embarking on a new collaboration with the National Cancer Institute’s (NCI) intramural Center for Cancer Research (CCR). In this two-year project, physician-scientists will explore new drug development along with how to optimize existing cancer drugs for the treatment of cancers that arise due to mistakes made in the repair of DNA. Another focus of the research is to learn more about the genetics behind tumor development so that therapies can be better tailored to patients. This new research collaboration was made possible t hanks to $4 million in combined support, including a $2 million award from the Robert Wood Johnson Foundation. Read more about this exciting new project here . More details to follow on both events. The 2017 Annual Retreat on Cancer in New Jersey provided researchers, staff, and students with a day of learning and networking on new innovations in cancer research and control. 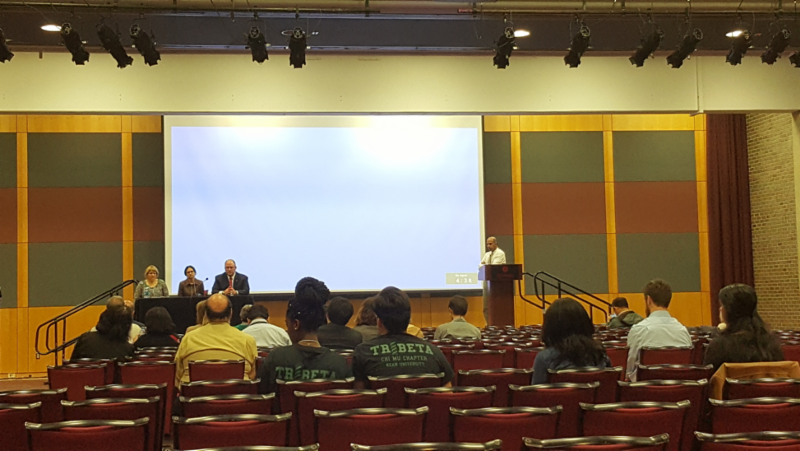 A public forum comprising a series of presentations on precision medicine began the event, finishing with a panel discussion that included Research Program Members Kim M. Hirshfield, MD, PhD , Eric A. Singer, MD, MA , and Shridar Ganesan, MD, PhD . 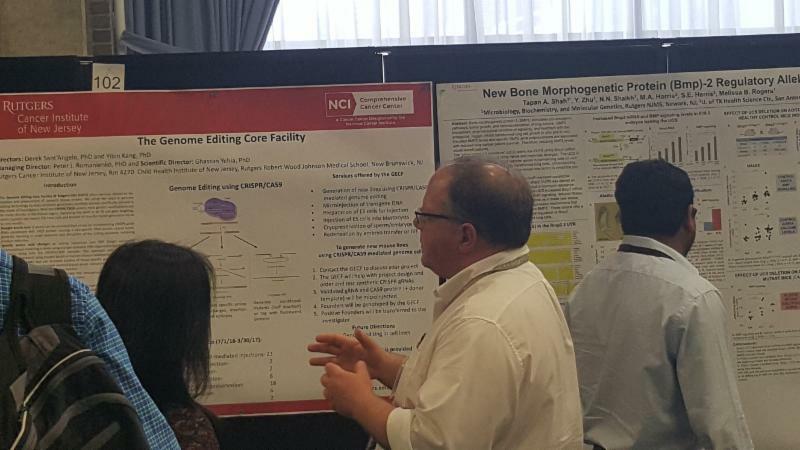 An hour was then dedicated to the first Poster Session, which featured work from the five Research Programs and various Shared Resources of Rutgers Cancer Institute of New Jersey. 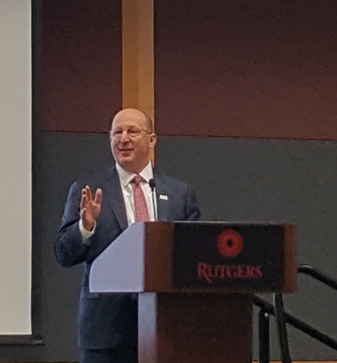 Rutgers Cancer Institute of New Jersey Director Steven K. Libutti, MD, FACS and Deputy Director Eileen White, PhD then gave a Welcome & Introduction for the annual retreat. Dr. White also introduced the Keynote speaker, Lewis Cantley, PhD, Meyer Director at Sandra and Edward Meyer Cancer Center and Professor of Cancer Biology in Medicine at Weill Cornell Medicine. 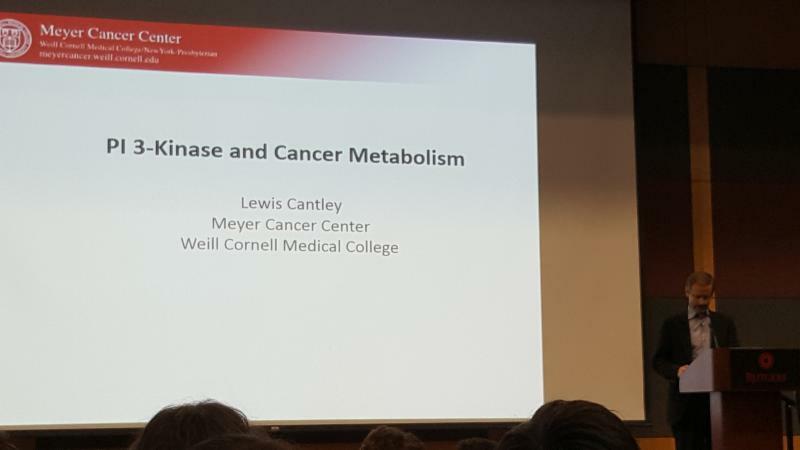 Dr. Cantley presented on PI 3-Kinase and its role in cancer metabolism. 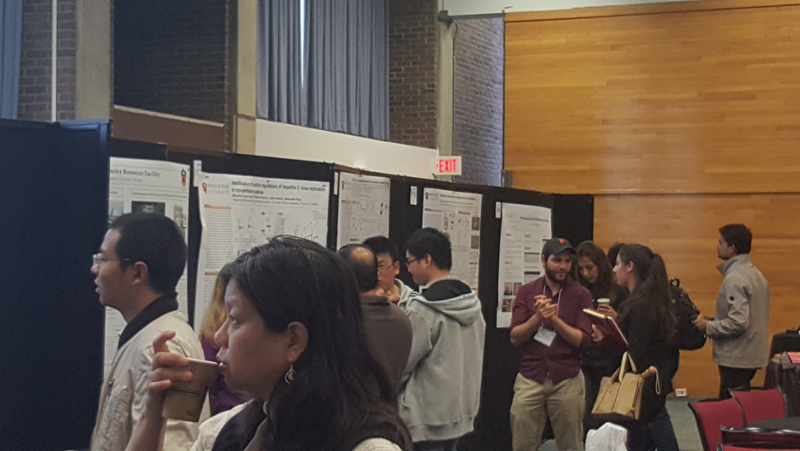 After lunch, there was the second Poster Session. The retreat concluded with the focus sessions for the Cancer Metabolism & Growth , Genomic Instability & Cancer Genetics , Cancer Pharmacology , Clinical Investigations & Precision Therapeutics , and Cancer Prevention & Control Research Programs. On May 10, 2017, the Institute for Advanced Study (IAS) partnered with the Raymond and Beverly Sackler Foundation and Rutgers Cancer Institute of New Jersey to host the Neuroendocrine Tumor Symposium. 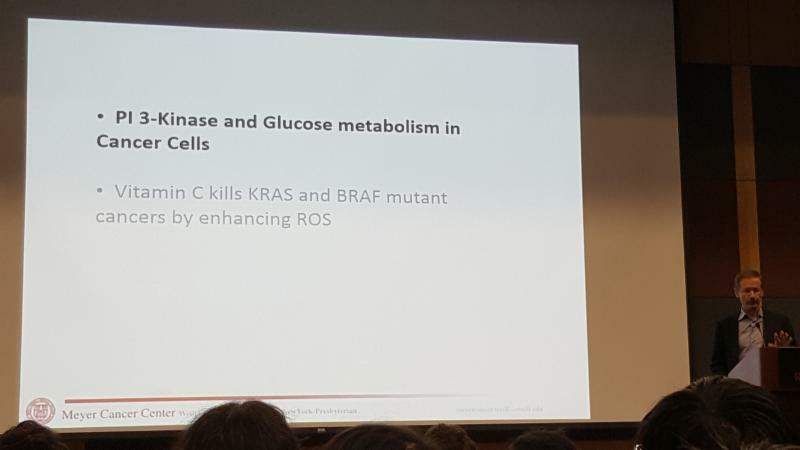 This symposium celebrated the arrival of Steven K. Libutti, MD, FACS as the Director of Rutgers Cancer Institute of New Jersey, and provided a day of learning and discussion on clinical and basic neuroendocrine tumor research. 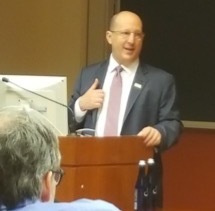 Arnold Levine, PhD began with an introduction of the Institute for Advanced Study, and its strong collaborative relationship with Rutgers Cancer Institute over the years. 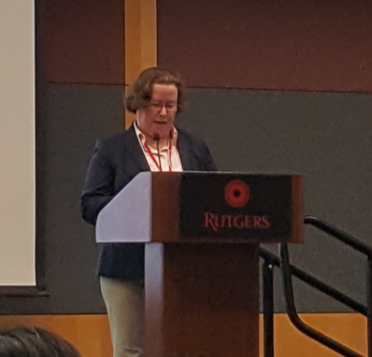 Dr. Libutti then spoke, thanking the IAS for hosting the event, discussing the intent of growing the neuroendocrine cancer research conducted at Rutgers Cancer Institute, and noting the personal and professional significance of developing this research program. Both Dr. Levine and Dr. Libutti thanked the Raymond and Beverly Sackler Foundation for the support of this symposium. Edward M. Wolin, MD, Director of the Neuroendocrine Tumor Program at Montefiore Einstein Center for Cancer Care kicked off the symposium with “Neuroendocrine Tumor Therapy in 2017 – Current Landscape and Future Prospects”. He spoke on advances in the techniques of novel somatostatin analogs, mTOR inhibitors, anti-angiogenic drugs, immunotherapy, molecular targeting of radiation therapy, and molecular PET imaging to quantitate somatostatin receptor binding, as well as ongoing clinical trials and new potential research directions. 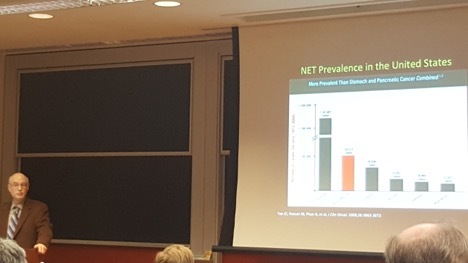 Diane Reidy-Lagunes, MD, Medical Oncologist at Memorial Sloan Kettering Cancer Center, then presented “Next-Generation Sequencing in Pancreatic Neuroendocrine Tumors: Defining Differentiation and Grade Genetically”. She discussed the results of using next-generation sequencing to study the pancreatic neuroendocrine tumors of diverse patients seen at her institution between 1999-2017, and how the data supports using the tumor’s grade, differentiation, and genetics to help guide a patient’s course of treatment. Chris R. Harris, PhD then presented “Genes Involved in Metastasis of Neuroendocrine Tumors of the Pancreas and Small Intestine”. 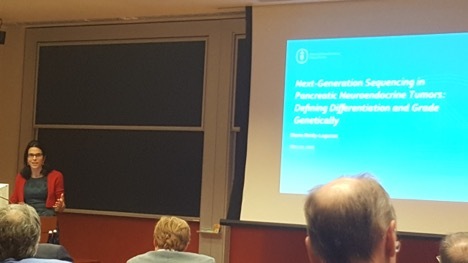 His presentation covered genes identified by his research that can affect gender-specific and race-specific metastasis of neuroendocrine tumors of the pancreas and of the small intestine. He also spoke about a gene identified as increasing metastasis. 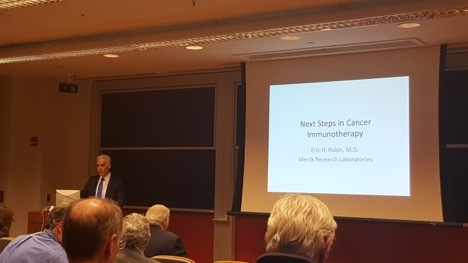 Eric H. Rubin, MD, Vice-President of Global Clinical Oncology at Merck Research Laboratories, then presented “Next Steps in Cancer Immunotherapy”. He discussed how the most promising treatments involve monoclonal antibodies that target the programmed death receptor 1 (PD-1) immune checkpoint, and how current clinical research is focusing on developing diagnostic tests to identify patients who would most likely benefit from this form of therapy. 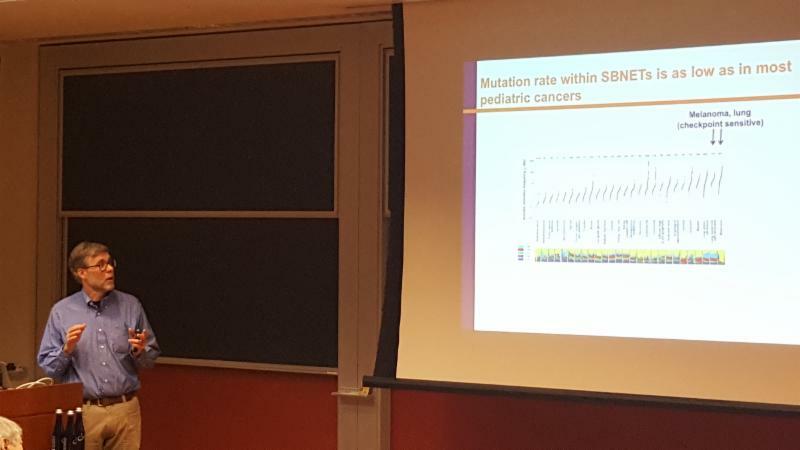 Shelley L. Berger, PhD, Director of the Epigenetics Program at the Perelman School of Medicine at the University of Pennsylvania, concluded the symposium with her presentation “Epigenetic Pathways as Targets in Human Cancer”. 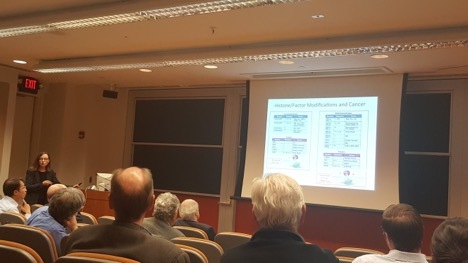 She discussed her research on which epigenetic pathways might be cancer drivers and which might augment clinical cancer treatment, and on whether epigenetic pathways might provide insight on poor and exceptional patient responses to cancer immunotherapy. Eileen White, PhD and Joshua D. Rabinowitz, MD, PhD received a $2.24 million competing renewal of their National Cancer Institute (NCI) grant R01CA163591. Their research will focus on melanoma and lung cancer caused by mutations in the K-ras and Braf genes. Read more about their award and research here . 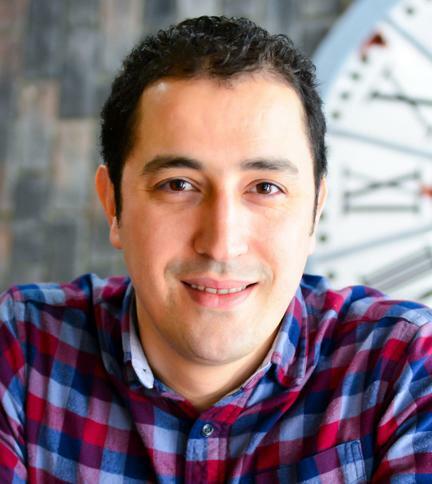 Abdelfattah El Ouaamari, PhD was awarded a Juvenile Diabetes Research Foundation (JDRF) Transition Award Grant, entitled "Unraveling the Neuro-Anatomy of the Endocrine Pancreas in Health and Diabetes. Term 6/1/2017 – 5/30/2018. Amount Awarded: $110,000. Role: PI. Yanxiang Jessie Guo, PhD gave an invited lecture entitled "Targeting autophagy to treat Kras-driven lung cancer" at the Institute of Basic Medical Sciences in Beijing, China in July 2017. Eileen White, PhD participated in the "Cancer & Diseases" Session of the 8 th International Symposium on Autophagy, held May 29 - June 1, 2017 at Nara Hotel in Nara, Japan. Eileen White, PhD presented "Role of Autophagy in Cancer Metabolism" as part of Winship Cancer Institute's Elkin Lecture Series, held May 4-5,2017 at Winship Cancer Institute in Atlanta, GA.
Yanxiang Jessie Guo, PhD gave a poster presentation entitled "Tumor Metabolism: Mechanisms and Targets" at the Keystone Symposia Conference held March 19-23, 2017 at the Fairmont Chateau Whistler in Whistler, British Columbia, Canada. Gleason, R.J., M. Vora, Y. Li, N.S. Kane, K. Liao, and Padgett, R.W. C. elegans SMA-10 regulates BMP receptor trafficking. PLoS ONE, in press, 2017. Liu, G., Liu, J., Cheng, Q., Wang, Q., Jing, Z,. 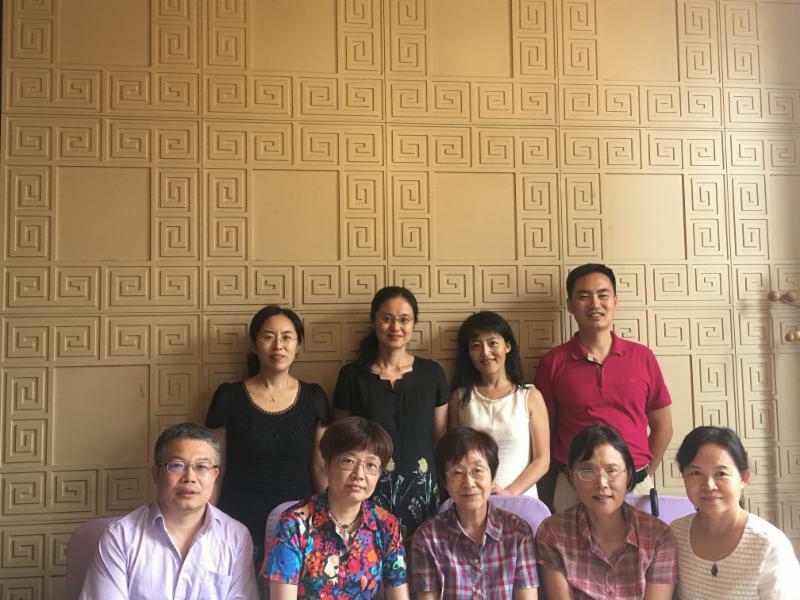 Pei, Y., Zhao, M., Wang, J., Guo, J.Y. , & Zhang, J. Impaired autophagy and defective T cell homeostasis in mice with T cell-specific deletion of receptor for activated C kinase. Front. Immunol. 8:575. Published May 18, 2017. Al-Baghdadi, R.J.T., Nikonorova, I.A., Mirek, E.T., Wang, Y., Park, J., Belden, W.J., Wek, R.C., & Anthony, T.G. Role of activating transcription factor 4 in the hepatic response to amino acid depletion by asparaginase. Sci Rep. 7(1):1272. Published Apr 28, 2017. Nikonorova, I.A., Al-Baghdadi, R.J.T., Mirek, E.T., Wang, Y., Goudie, M.P., Wetstein, B.B., Dixon, J.L., Hine, C., Mitchell, J.R., Adams, C.M., Wek, R.C., & Anthony, T.G. Obesity challenges the hepatoprotective function of the integrated stress response to asparaginase exposure in mice. J Biol Chem. 292(16):6786-6798. Published Apr 21, 2017. Rane, C., Senapedis, W., Baloglu, E., Landesman, Y., Crochiere, M., Das-Gupta, S., & Minden, A. A novel orally bioavailable compound KPT-9274 inhibits PAK4, and blocks triple negative breast cancer tumor growth. Sci Rep. 7:42555. Published February 15, 2017. Liu, L., Yu, M., Lin, H. & Foty, R.A . Deformation and relaxation of an incompressible viscoelastic body with surface viscoelasticity . J. Mechanics and Physics of Solids 98: 309-329. Published January 2017. Daniel Herranz Benito, PhD was awarded a National Cancer Institute (NCI) Grant, entitled "Functional dissection of oncogenic enhancers”. Term 7//2017 – 6/2020. Amount Awarded: $747,000. Role: PI. In July 2017, Peter W. Melera, PhD was named to the editorial board of the journal Biochemical Pharmacology and was elected as President of Sponsored Programs and Research, Inc., at the US Coast Guard Academy. William J. Welsh, PhD , Professor in the Department of Pharmacology at RWJMS and Associate Director of Cheminformatics at the Rutgers Cancer Institute's Biomedical Informatics Shared Resource, received a Rutgers TechAdvance award to support the project entitled "First-in-Class Pan-TAM Tyrosine Kinase Inhibitors for Cancer Therapy". 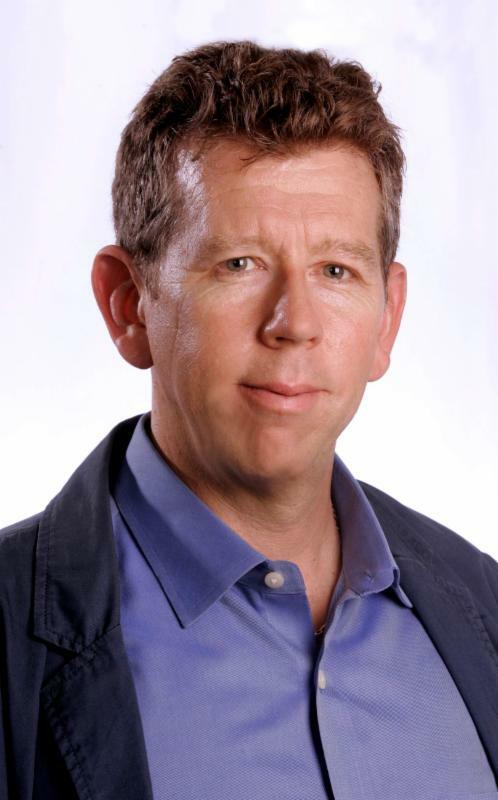 Professor Raymond B. Birge, PhD at Rutgers New Jersey Medical School (Member of the Cancer Metabolism & Growth Program ) is the co-PI. The new TechAdvance program at Rutgers supports projects with strong commercialization potential. Wang, X., Beute, W. K., Harrison, J.S., & Studzinski, G.P. BRAF signals to pro-apoptotic BIM to enhance AraC cytotoxicity induced in AMLcells by Vitamin D-based differentiation agents. Journal of Steroid Biochemistry and Molecular Biology, in press, 2017. Nusblat L.M., Carroll M.J., & Roth CM . Crosstalk between M2 macrophages and glioma stem cells. Cell. Oncol. Published online June 22, 2017. ﻿ Minacapelli, C.D., Bajpai, M. *, Geng, X., Chouthai, A.A., Hawryluk, C.J., Souza, R., Spechler, S.J., & Das, K.M. Barrett's. Metaplasia Develops from Cellular Reprograming of Esophageal Squamous Epithelium due to Gastroesophageal Reflux. American Journal of Physiology-Gastrointestinal and Liver Physiology, 312(6):G615-G622. Published June 1, 2017. In August 2017, Roger K. Strair, MD, PhD was chosen as the recipient of the 2017 Vida Award from Vida Global Foundation, for going above and beyond in service to lymphoma patients and medical oncologists in training. Dr. Strair will receive his award on Saturday, September 16, 2017 at the Crowne Plaza Princeton. Dipak K. Sarkar, PhD was awarded a National Institutes of Health (NIH) Grant, entitled "Role of SRY in transgenerational transmission of alcohol epigenetic marks on proopiomelanocortin gene”. Term: 08/01/2017- 06/30/2022. Amount: $1,743,750. Role: PI. Bruce G. Haffty, MD was named an Honorary Member of the American Association of Physics in Medicine in July 2017. Dipak K. Sarkar, PhD was awarded the 2017 Distinguished Researcher Award by the Research Society on Alcoholism (RSA) in July 2017. Click here to read more. Nusrat Epsi, a PhD student with Antonina Mitrofanova, PhD , has been awarded a Grace Hopper Celebration (GHC) Student Scholarship grant to attend an upcoming Grace Hopper Celebration of Women in Computing conference. Sheida Hayati, a PhD student with Antonina Mitrofanova, PhD , has been awarded a New Jersey Commission on Cancer Research (NJCCR) Pre-Doctoral Fellowship from New Jersey Department of Health. Mark H. Einstein, MD, MS, FACS, FACOG , Professor and Chair at Rutgers New Jersey Medical School, and Judith M. Graber, PhD , Assistant Professor at Rutgers University School of Public Health (Member of the Cancer Prevention & Control Program ) were awarded a pilot grant though the Rutgers NIEHS Center Grant (ES005022). This project, entitled "Carcinogenesis of Head and Neck Tumors Among World Trade Center Rescue and Recovery Workers; A Feasibility Study" and also known as the Biomonitoring Head and Neck Cancer Study (BHANCS) is for $31,628 and will span June 12, 2017 through March 31, 2018. The pilot study’s aims will be to assess the feasibility of investigating the etiology of oropharyngeal tumors among World Trade Center rescue and recovery workers, and it will assess HPV genotype prevalence and DNA methylation in OP tumors among WTC responders and matched controls from the Rutgers University Hospital. Co-investigators include: Kenneth R. Ruehl, PhD , Professor at Ernest Mario School of Pharmacy; Neena Mirani , PhD, MD, Professor of Pathology, Ophthalmology and Head and Neck Surgery at University Hospital; Dirk Moore, PhD, Associate Professor at Rutgers University School of Public Health; Anna Giuliano PhD, Professor and Director, Center for Infection Research in Cancer (CIRC), Moffett Cancer Center in Tampa Florida; and Emanuela Taioli, MD, PhD, Professor and Director, Institute for Translational Epidemiology and World Trade Center Biorepository PI, Icahn School of Medicine at Mount Sinai in NYC. Moran M.S., Zhao Y., Ma S., Kirova Y., Fourquet A., Chen P., Hoffman K., Hunt K., Wong J., Halasz L.M., Freedman G., Prosnitz R. Jr, Yassa M., Nguyen D.H., Hijal T., Haffty B.G. , Wai E.S., & Truong P.T. Association of Radiotherapy Boost for Ductal Carcinoma In Situ With Local Control After Whole-Breast Radiotherapy. JAMA Oncol 3(8):1060-1068. Published August 1, 2017. Stein M.N. , Bertino J.R. , Kaufman H.L., Mayer T. , Moss R., Silk A. , Chan N. , Malhotra J. , Rodriguez L. , Aisner J. , Aiken R.D. , Haffty B.G. , DiPaola R.S., Saunders T., Zloza A. , Damare S., Beckett Y., Yu B., Najmi S., Gabel C., Dickerson S., Zheng L., El-Deiry W.S., Allen J.E., Stogniew M., Oster W., & Mehnert J.M. First-in-Human Clinical Trial of Oral ONC201 in Patients with Refractory Solid Tumors. Clin Cancer Res 23(15): 4163–9. Published August 2017. Zou, M., Toivanen, R., Mitrofanova, A. , Floch, N., Hayati, S., Sun, Y., Le Magnen, C., Chester, D., Mostaghel, E.A., Califano, A., Rubin, M.A., Shen, M.M., and Abate-Shen, C.
Transdifferentiation as a mechanism of treatment resistance in a mouse model of castration-resistant prostate cancer. Cancer Discovery, 7(7):736-749. Published July 2017. Chang, C., Hu, Y., Hogan, S.L., Mercke, N., Gomez, M., O'Bryant, C., Bowles, D.W., George, B., Wen, X., Aleksunes, L.M. , & Joy , M.S. Pharmacogenomic Variants May Influence the Urinary Excretion of Novel Kidney Injury Biomarkers in Patients Receiving Cisplatin. Int J Mol Sci.18(7). pii: E1333. Published June 22, 2017. Khan A.J., Poppe M.M., Goyal S., Kokeny K.E., Kearney T., Kirstein L., Toppmeyer D. , Moore D.F., Chen C., Gaffney D.K., & Haffty B.G. Hypofractionated Postmastectomy Radiation Therapy Is Safe and Effective: First Results From a Prospective Phase II Trial. J Clin Oncol 35(18): 2037-2043. Published June 20, 2017. Kulkarni A., Al-Hraishawi H., Simhadri S., Hirshfield K.M. 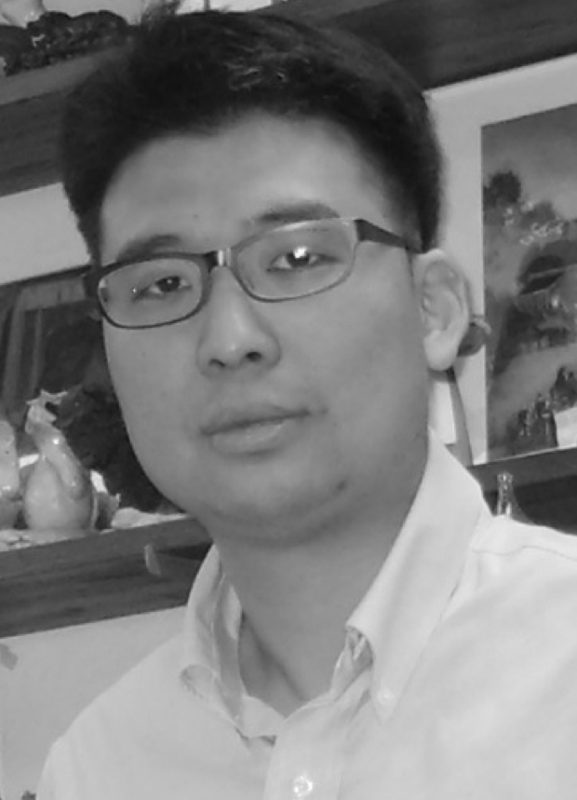 , Chen S. , Pine S.R. , Jeyamohan C., Sokol L., Ali S.M., Teo M.L., White E. , Rodriguez- Rodriguez L. , Mehnert J.M. , & Ganesan S. BRAF fusion as a novel mechanism of acquired resistance to vemurafenib in BRAF V600E mutant melanoma. Clin Cancer Res. Published online May 24, 2017. George, B., Wen, X., Mercke, N., Gomez, M., O'Bryant, C., Bowles, D.W., Hu, Y., Hogan, S.L., Joy , M.S., & Aleksunes, L.M. Profiling of Kidney Injury Biomarkers in Patients Receiving Cisplatin: Time-dependent Changes in the Absence of Clinical Nephrotoxicity. Clin Pharmacol Ther. 101(4):510-518. Published April 2017. Nomad S., Sheehan C.E., Gay L.M., Elvin J.A., Virgilio J.A., Suh J., Ramkissoon S., Schrock A.B., Hirshfield K.M. , Ali N., Ganesan S. , Ali S.M., Miller V.A., Stephens P.J., Ross J.S., & Chung J.H. Comprehensive genomic profiling of malignant phyllodes tumors of the breast. Breast Cancer Res Treat 162(3):597-602. Published April 2017. Anantha R.W., Simhadri S., Foo T.K., Miao S., Liu J., Shen Z. , Ganesan S. , & Xia B. Functional and mutational landscapes of BRCA1 for homology-directed repair and therapy resistance. Elife 6i: e21350. Published online April 11, 2017. Dutta, A., Panja, S., Virk, R.V., Kim, J.Y., Zott, R., Cremers, S., Golombos, D.M., Liu, D., Mosquera, J.M., Mostaghel, E.A., Barbieri, C.E., Mitrofanova, A. * , & Abate-Shen, C.* Co-clinical analysis of a genetically-engineered mouse model and human prostate cancer reveals significance of NKX3.1 expression for response to 5a-reductase inhibition. European Urology 17:S0302-30252. Published April 3, 2017. Foran D.J. , Chen W., Chu H., Sadimin E. , Loh D., Riedlinger G . , Goodell L.A. , Ganesan S. , Hirshfield K. , Rodriguez L. , & DiPaola R.S. Roadmap to a Comprehensive Clinical Data Warehouse for Precision Medicine Applications in Oncology. Cancer Inform 16:1176935117694349. Published online March 2, 2017. Boughey J.C., Haffty B.G. , Habermann E.B., Hoskin T.L., & Goetz M.P. Has the Time Come to Stop Surgical Staging of the Axilla for All Women Age 70 Years or Older with Hormone Receptor-Positive Breast Cancer? Ann Surg Oncol 24(3):614-617. Published March 2017. Cheng L.C., Tan V.M., Ganesan S. , & Drake J.M. 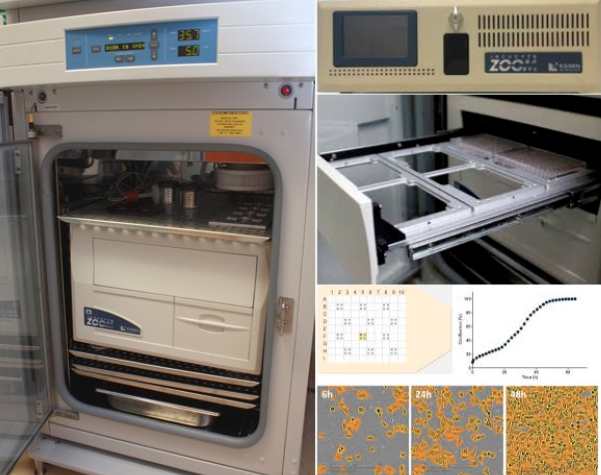 Integrating phosphoproteomics into the clinical management of prostate cancer. Clin Transl Med 6(1):9. Published online February 14, 2017. Morgan K.M., Riedlinger G.M. , Rosenfeld J. , Ganesan S. , & Pine S.R. Patient-Derived Xenograft Models of Non-Small Cell Lung Cancer and Their Potential Utility in Personalized Medicine. Front Oncol 7:2. Published January 19, 2017. Gaurav Mehta, Ph.D. (advisee of Michael L. Gatza, PhD ) recently received the Rutgers Cancer Institute of New Jersey Gallo Award. 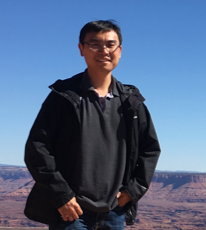 Bing Xia, PhD was awarded a National Institute of Health (NIH) Grant, entitled “Targeting Autophagy in Hereditary Breast Cancer (Diversity Supplement)”. Term 6/1/2017 – 5/31/2018. Amount Awarded: $57,707. Role: PI. 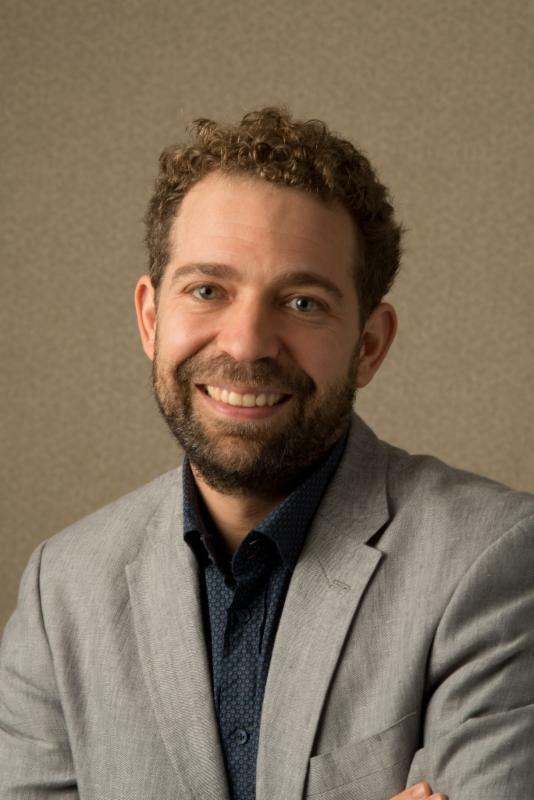 Utz Herbig, PhD was awarded a National Institute of Health (NIH) Grant, entitled "Deciphering the Code for Senescence Escape During Cancer Progression in Humans". Term 2/01/2017 - 1/31/2022. Amount Awarded: $ 2,640,460 . Role: PI. Michael L. Gatza, PhD gave an invited presentation entitled “Impact of V Foundation Award and Philanthropy on Research” at the Rutgers Board of Overseers Stakeholders Meeting held June 21, 2017 in Piscataway, NJ. Kubra Karagoz and Michael L. Gatza, PhD presented “Integrative Omics Analysis to Identify Oncogenic Drivers of RAS/PI3K/AKT Signaling in Poor Prognostic High Grade Serous Ovarian Cancer” at the 2017 Annual Retreat on Cancer Research held May 25, 2017 in New Brunswick, NJ. Christen Khella, Kubra Karagoz, and Michael L. Gatza, PhD presented “Integrative Proteogenomic Analyses to Identify Essential Genes in Poorly Prognostic High-Grade Serous Ovarian Cancer” at the 2017 Annual Retreat on Cancer Research held May 25, 2017 in New Brunswick, NJ. Kristina Mastrioanni, Kimberly Parker, and Michael L. Gatza, PhD presented “CPT1A Amplification Promotes Proliferation in Luminal Breast Cancer” at the 2017 Annual Retreat on Cancer Research held May 25, 2017 in New Brunswick, NJ. Gaurav Mehta, PhD (advisee of Michael Gatza, PhD ) gave an invited talk entitled “Integrative Genomics Approach Identified BRG1 and SOX4 as Regulators of PI3K/Akt Signaling in Basal-Like Breast Cancer” at the 2017 Annual Retreat on Cancer Research held May 25, 2017 in New Brunswick, NJ. Utz Herbig, PhD presented "Telomere Dysfunction-Induced Senescence and its Impact on Human Health" at the International Cell Senescence Conference held May 16-19, 2017 at the Pasteur Institute in Paris, France. Dr. Herbig also was Chair for the session "DNA Damage Response and Telomeres" at this conference. Muriel W. Lambert, PhD gave two presentations entitled "Aging Gracefully- Science of Aging" and "Melanin and Melatonin" at the 12th World Congress of Cosmetic Dermatology, held May 4-6, 2017 at the Dr. Babu Rajendra Prasad International Convention Centre in Bengaluru, Karnataka, India. Utz Herbig, PhD , with colleagues Neetu Razdan, Themistoklis Vasilopoulos, and Alketa Stefa, presented "Telomere Dysfunction Promotes Transdifferentiation of Human Fibroblasts Into Myofibroblasts" at the Cold Spring Harbor Conference on Telomeres and Telomerase held May 2-6, 2017 at Cold Spring Harbor Laboratory in Cold Spring Harbor, NY. Muriel W. Lambert, PhD , with colleagues W.C. Lambert, C.M. Ring, C.E. Gagna, J.D. Espinal-Mariotte, and R.A. Schwartz presented "How sildenafil (Viagra®) may cause melanoma: A histopathlogic study providing a potential physiological/etiopathological mechanism" at the Annual Meeting of the American Academy of Dermatology held March 3-7, 2017 at the Orange County Convention Center in Orlando, FL. Smith, K.S., Liu, L.L., Ganesan, S. , Michor, F., & De, S. Nuclear topology modulates the mutational landscapes of cancer genomes. Nature Str Mo l Biol., in press, 2017. Yang, J., Axelrod, D.E. , & Komarova, N.L. Determining the control networks regulating stem cell lineages in colonic crypts. Journal of Theoretical Biology 429:190-203 Published July 20, 2017. Goto, G.H., Ogi, H., Biswas, H., Ghosh, A., Tanaka, S., & Sugimoto, K . Two separate pathways regulate protein stability of ATM/ATR-related protein kinases Mec1 and Tel1 in budding yeast. PLOS Genetics, Accepted for publication June 15, 2017. Lu, K., Alcivar, A.L., Ma, J., Foo, T.K., Zywea, S., Huo, Y., Kensler, T.W., Gatza, M.L. , & Xia, B. NRF2 induction supporting breast cancer cell survival is enabled by oxidative stress-induced DPP3-KEAP1 interaction. Cancer Research 77(11):2881-2892. Published June 1, 2017. Ba, Q., Li, X., Huang, C., Li, J., Fu, Y., Chen, P., Duan, J., Hao, M., Zhang, Y., Li, J., Sun, C., Ying, H., Song, H., Zhang, R., Shen, Z. , & Wang, H. BCCIPβ modulates the ribosomal and extraribosomal function of S7through a direct interaction. J Mol Cell Biol. 9(3):209-219. Published June 1, 2017. Axelrod, D.E. , Vedula, S. & Obaniyi, J. Effective Chemotherapy of Heterogeneous and Drug-Resistant Early Colon Cancers by Intermittent Dose Schedules: A Computer Simulation Study. Cancer Chemother Pharmacol 79: 889-898. Published March 25, 2017. Patel, P., Suram, A., Mirani, N., Bischof, O., & Herbig, U . Derepression of hTERT gene expression promotes escape from oncogene-induced cellular senescence. Proc Natl Acad Sci U S A. 113(34):E5024. Published August 23, 2016.